It’s been two weeks since my last post. I never thought I’d break my commitment to posting at least once a week so soon, and yet I am happy I managed to stick it out for so long. Exactly six months. 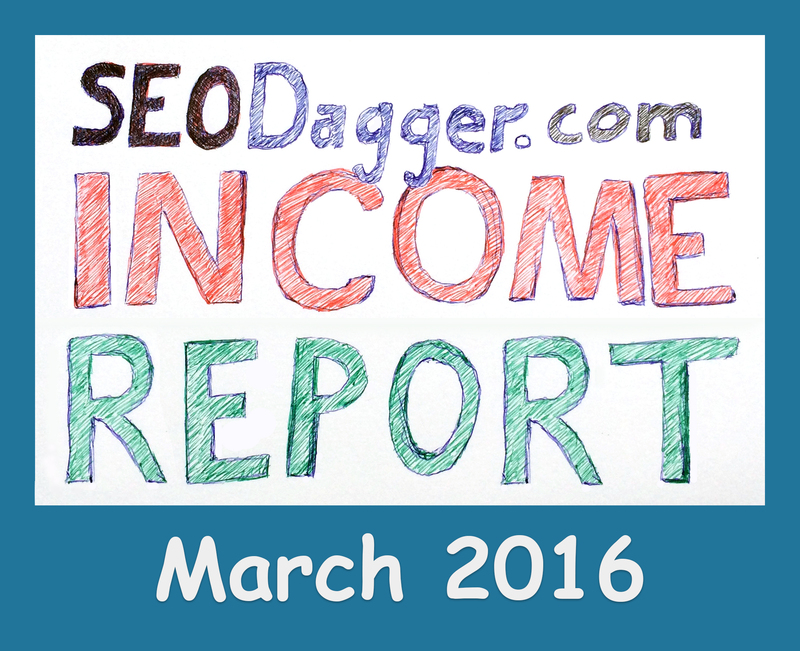 This is income report #6 so, I’ve been religiously posting at least one post per week for six months now. Why did I skip a post last week (and almost this week)? Because I got family visiting from Canada. Not just my mom and her husband, but my sister as well. As hard as it was for me to skip a post last week (I honestly was guilt stricken), I was reminded why we start our own businesses in the first place: to be able to take time out when needed. With that being said, I believe March will have been the WORST month to date (earning wise). I’m doing something drastic to address that though. I’ll talk a bit more about it later. For now, let’s dive into the numbers! Please note: I will not include earnings from ventures unrelated to this blog. I own and am a partner of a bunch of online business ventures, but – for the sake of a fair case study – only SEODagger.com earnings will be displayed here. Had someone order a PBN backlink from PBN Success – a backlink seller on Source Market I occasionally recommend on this blog. I tried out a press release service on another blog I’m a partner of and was super impressed with the awesome backlinks I got. 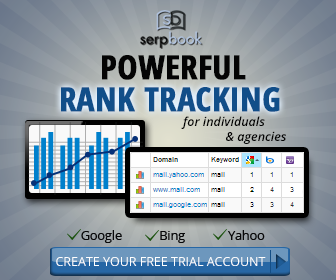 The site almost instantly jumped 40 positions in Google for a fairly competitive keyphrase. That is when I decided to try it on this blog as well (I talk more about it here). I again ordered a bunch of backlinks from their PBN gig and pointed one of them at this blog. You simply can not go wrong with these at $15 a piece. They aren’t the best but are good value for the money (I still prefer Lightening Rank links but they cost a lot more). I actually didn’t take any money home from SEODagger.com this month. In fact, I spent more than it earned me. As disappointing as it is, I’m not going to gripe about it just because I’ve been hoarding SEODagger.com earnings for nearly six months and – as is inevitable – sooner or later you have to buy straw to feed the cow. So in total I lost $51.05 with this blog in March. I already know April will be a lot better so I’m okay with that, hehe. In my last income report I talked about getting into video training for this blog. I even finished shooting a couple videos before realizing they were crazy blurry. I discovered my iPhone (my secret video shooting weapon) got some dust INSIDE the camera lense which causes all pictures and videos to get blurry. It’s apparently a common problem with that model of iPhone. With family coming for an extended visit and other projects taking up plenty of my time, I decided to scrap the video idea for now. So going forward (at least for the next few weeks), I may not write a post every week on this blog, but will be writing posts on other blogs to promote SEODagger.com. SEODagger.com cost me $51.05 in March. If I hadn’t done the press release, I would have at least broken even, but no regrets. I consider that press release an investment for the future of this blog. In other words, the strong backlinks I got from that press release helped create a stronger foundation for this blog. Any backlink building I do going forward will – as a result – be a lot more effective. Going forward I will be doing a lot more “free” backlink building. Especially in the form of guest posting. 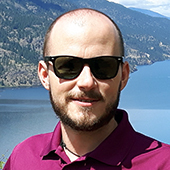 Hi Konrad, I’m finding your blog really inspiring and it’s great to see your progress 🙂 I’ll be reading more of your stuff. It’s been baby steps… one foot in front of the other. How do you be a full time dad as well as always being on the computer? I only ask because we have the same kind of family dynamic. I appreciate your input! Believe it or not, I only spend a few hours a day (on average) on the computer. Right now I’m trying to catch up on work I had neglected for the two weeks family was visiting, meaning I probably work a good 6+ hours per day. Normally it’s less though… usually less than 4 or so hours of concentrated work 6 days a week. In terms of spending time with the little one: we take turns. When I work, my wife does something with her, and then when she works, I do something to spend quality time with her. We make an effort to each spend quality time with her daily. We usually go out for lunch or supper as a family and then when she (Olivia) is asleep, my wife and I can do whatever we want (watch a movie, work, talk, etc). It’s hard work to keep life balanced – especially when you have kids, but when both parents make an active effort (where possible), it is doable.